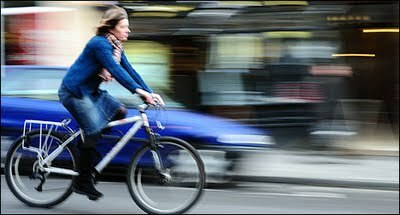 Rudi.net the website for urban design professionals has revealed that TfL has suppressed a report showing that women cyclists are more likely to be killed in traffic than men because they don’t run red lights and do not generally ride aggressively. Given the dangers presented by the KX gyratory system combined with a twenty year regeneration programme increasing the number of lorries here and the massive number of women students moving into the area this is a timely article for all in KX. This entry was posted in Bad Gyrations KX Campaign, Road Safety in Kings Cross and tagged Cycling, Gyratory, Road safety. Bookmark the permalink. Report also suggests some supposed safety features are adding to the risks !